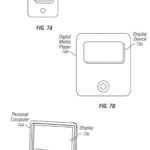 The US Patent and Trademark Office (USPTO) today published a patent application by Apple that describes the use of a stylus with portable electronic devices such as an iPad, iPhone and Mac. 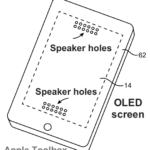 The invention called “DISPLAY, TOUCH, AND STYLUS SYNCHRONIZATION” which was discovered today by Apple Toolbox, indicates that even though Apple has repeatedly stated they have no interest in developing so-called smart pens and styli, they are actively researching the concepts with an eye on future products. 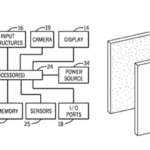 This year, the company has already filed nearly a dozen similar patents.. 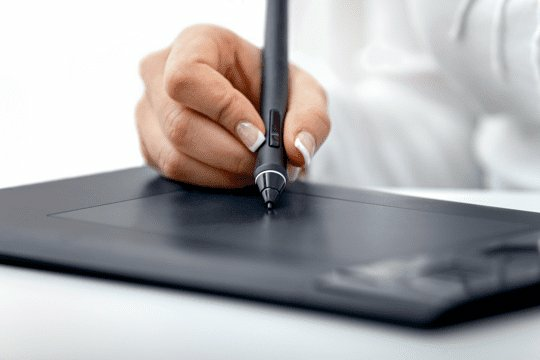 The invention describes the stylus being able to receive stimulation and force signals, and transmitting signals back to the touchscreen device to improve its precision and control. The unique twist here is that to ensure the stylus operation is smooth, the stylus is synchronised with the display and touch controllers on the device. 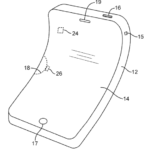 The image below, taken from the patent application, illustrates an example of the stylus. 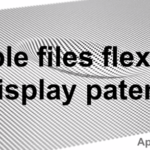 Apple describes the stylus in detail in patent application 20140354555. 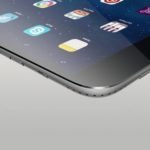 One possibility in terms of the practical use of a stylus with future Apple products, could be the much-rumoured 12-inch iPad Pro, which may see a release in 2015 in a bid to compete with the likes of Microsoft’s Surface device. Apple has already positioned the iPad as a tool for business and pleasure, but a possible iPad Pro would help persuade more businesses to adopt the tablet, and a stylus would be a compelling accessory for many users. 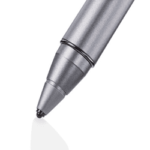 Besides the stylus, the authors describe complex circuitry to synchronise stylus and touch screens. 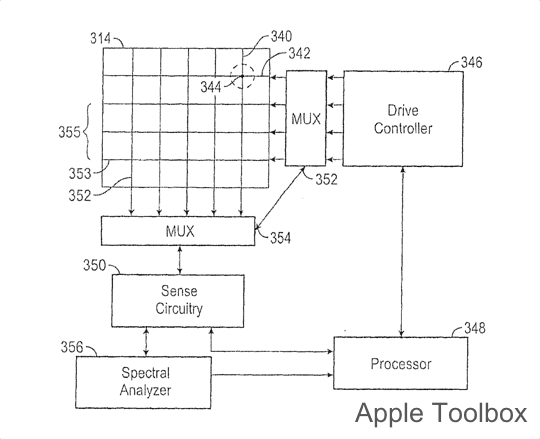 Apple credits Shahrooz Shahparnia, Christopher Mullens and Martin Grunthaner as the inventors of patent application number 20140354555.